At Lucid Software, when we see a process, we automatically want to visualize it. 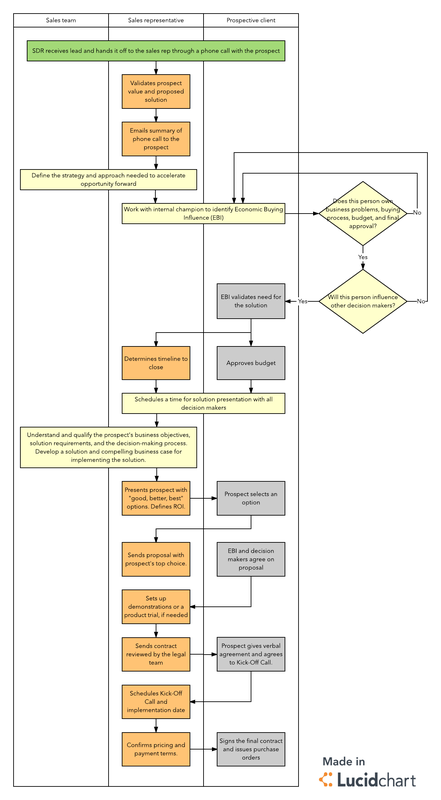 So we decided to further simplify this sales methodology and turn it into a swim lane process map. Take a look at the results below. This cheat sheet includes best practices for any sales organization, but you might want to personalize the sales process for your company. Try creating your unique process in Lucidchart.